The Acai (euterpe oleracea) is a native palm of Central and South America. The berry of the Acai is a traditional food among the people that inhabit the Amazon region of Brazil. Acai is unique among fruits in that it contains omega 3, 6 and 9 essential fatty acids, in quantities similar to olive oil. These fatty acids are thought to contribute to cardiovascular health and protection from heart disease. Acai Power is a potent source of antioxidants - substances which protect the body from the harmful effects of free radicals and oxidative damage. They are reported to reduce the effects of ageing and promote health. Açaí berry has a higher ORAC score (measurement of antioxidant capacity) than a range of other antioxidant-rich fruits. Each Acai Power Capsule is equal to the antioxidant power of 300 Acai Berries. 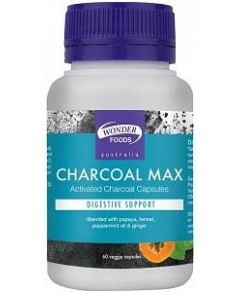 Acai Power Capsules are the best value Acai Capsules on the Australian market! 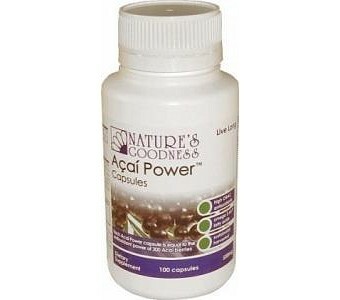 Acai Power Capsules are sustainably harvested Acai Power Capsules are the perfect detox and natural energy boost! Directions: Take 1-2 Acai Power capsules per day, or as required. Store in a cool dry place. Ingredients: Acai Extract, Gelatin.